Our Zieggy Tribe values giving back to the communities served by The Ziegenfelder Company. The topic is even listed in our Zieggy Essentials under the “S” in T.W.I.N.S. and promotes serving others. 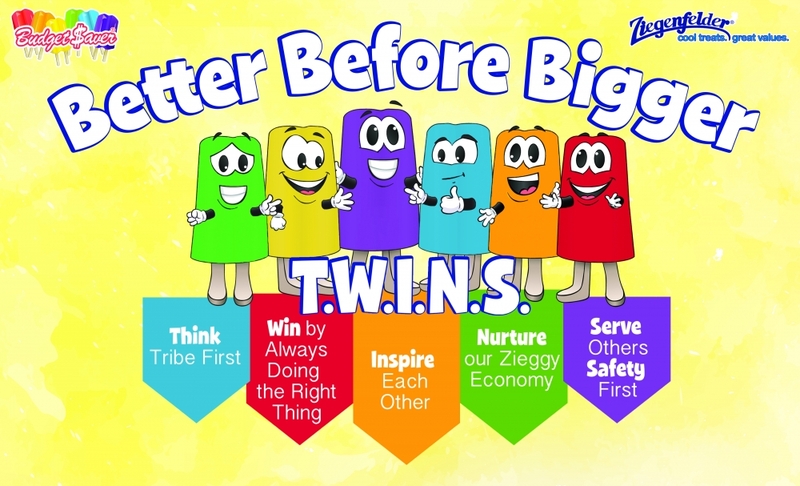 As a way to provide more opportunities for the members of the Zieggy Tribe to give back, The Ziegenfelder Company formed an employee-led committee to organize various community service projects and oversee external donations. That committee is called the Zieggy Impact Group, or ZIGs. The ZIGs committee continues to look for partnerships that will align with our Zieggy Essentials. This allows us to find great opportunities for our Zieggy Tribe to give back. To submit a request for donations or community service participation, CLICK HERE to go to the ZIGs online form.